Mothers have key role in a family. Healthy women can train/ educate the best children. Women who refer to a gynecologist , can prevent the diseases and have a good health. Dr. Bahmanpour, recommends that all women should care about their genital health. A gynecologist, performs different tests and examination on women’s health, which are related to genital system. It includes general physical exam or external genital exam. The gynecologist, defines different periods of life that it’s important for women and girls to refer a gynecologist. 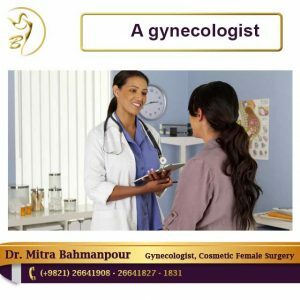 When to see a gynecologist? This part of life is so important. If detection any problem, girls should refer to a gynecologist. In this term, girls should be checked monthly, and should eat fibretic food and fresh vegetables. When women are faced with different genital diseases. In this cases, doctors suggest the best treatment after discussion and examination. This period will pass under a gynecologist and mothers can have healthy babies. Some women with sexual problems and inabilities. Gynecologists can solve/ remove their problems. Some women have sexual diseases or sexual problem, so it’s necessary to refer a gynecologist to treat their problems. In this period and during aging, the possibility of uterus and ovary Cancer increases, and women should be checked monthly under a gynecologist. These two diseases are becoming common among the women and a gynecologist can treat the diseases through different tests and examination. After the puberty period and each ages, it’s necessary for all women and girls to refer to a gynecologist. A gynecologist can diagnose your problems and diseases and so can prevent the further complications. Unfortunately, women are subjected to uterus and ovary cancers. Diagnosis is done only by a gynecologist. It should be noted that, Dr. Bahmanpour, who is a professional gynecologist, treat the women problems with using modern technologies. She is the only Iranian’s gynecologist in European surgery society. Treating sexual pain and problems and so on. Dr. Bahmanpour, tries to fulfill her aims and believes that the mental and sexual health, should be increased. Due to the successful background of Dr. Bahmanpour in removing the problems, you can feel the differences.